Print and cut out caterpillar life cycle and food shapes, punch holes in them (leaf and food), and have kids create a hungry caterpillar food rope! 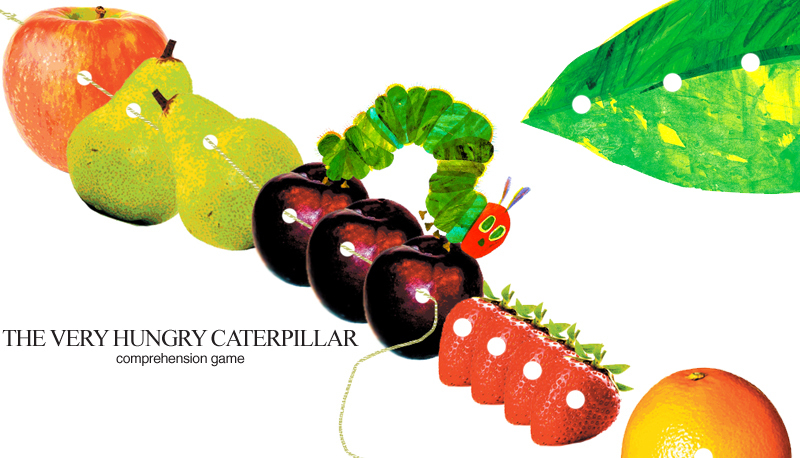 What did the hungry caterpillar eat first? Kids use clothespins (or simply lace), putting the food in order on a piece of yarn.